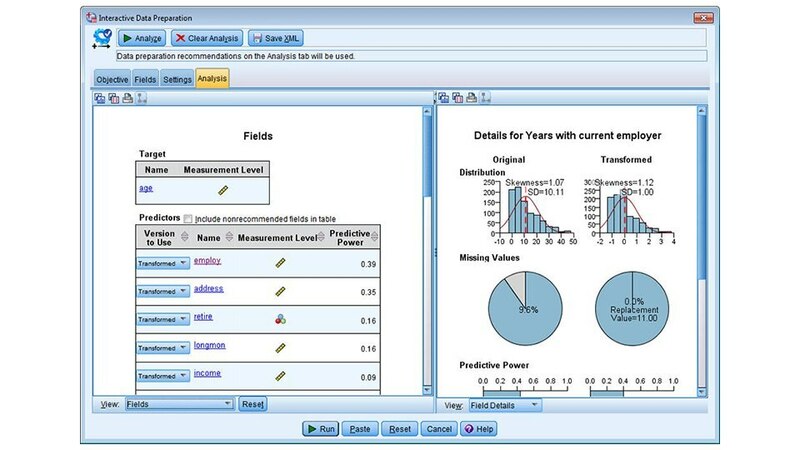 IBM SPSS Data Preparation is a fully integrated module of IBM SPSS Statistics. It performs advanced techniques to streamline the data preparation stage – delivering faster, more accurate data analysis results. 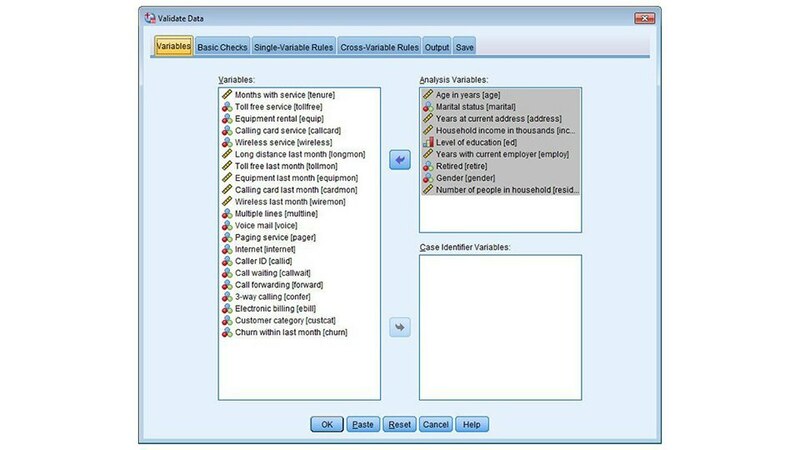 Analysts can choose from a completely automated data preparation procedure for the fastest results, or select from several other methods to help prepare more challenging data sets. With this software, you can easily identify suspicious or invalid cases, variables and data values. 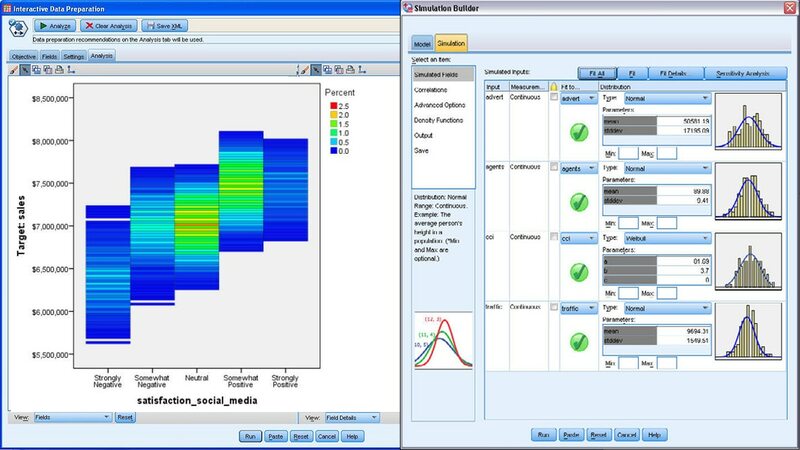 You can also view patterns of missing data, summarize variable distributions and more accurately work with algorithms designed for nominal attributes. Automate the data preparation process to eliminate complex, time-consuming manual data preparation. 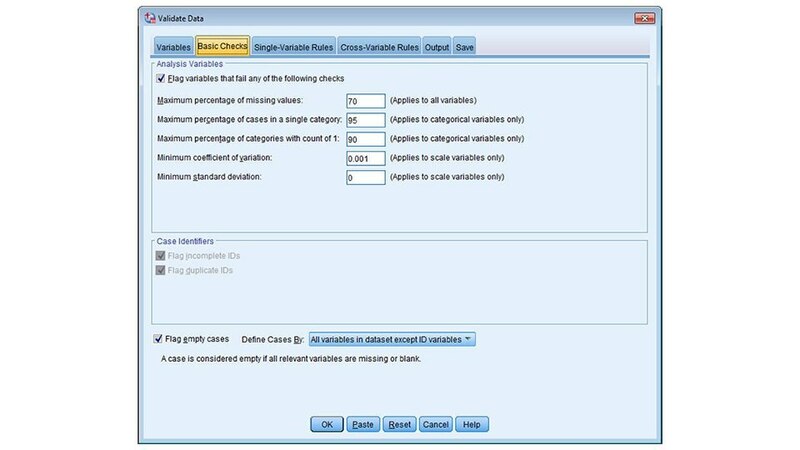 Validate data without manual checks to perform faster, more accurate data validation. 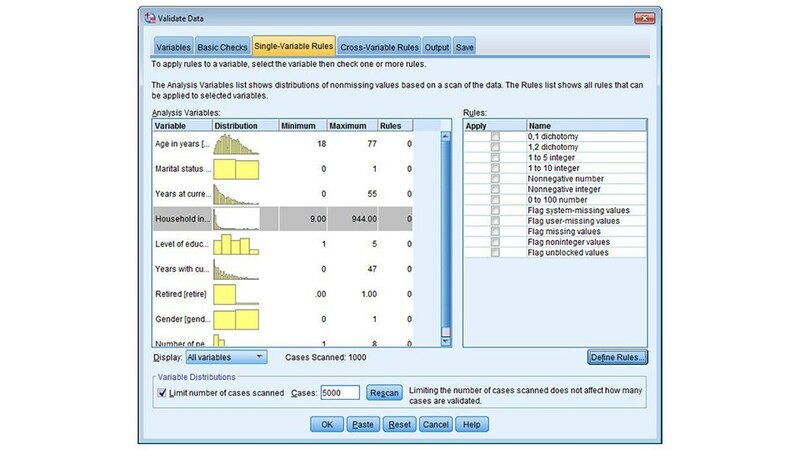 Prevent outliers from skewing analyses to automatically detect anomalies that could corrupt results.